With the Blasterparts MX Multi Holster your Nerf Strongarm won't leave your side anymore. Every blaster will run out of darts sometime. Now you're not defenceless even in such dangerous situations, because with the Blasterparts MX Multi Holster you'll always have another blaster at hand on your belt. Size adjustable for blasters like Nerf Strongarm, Retaliator and Rough Cut and many others. 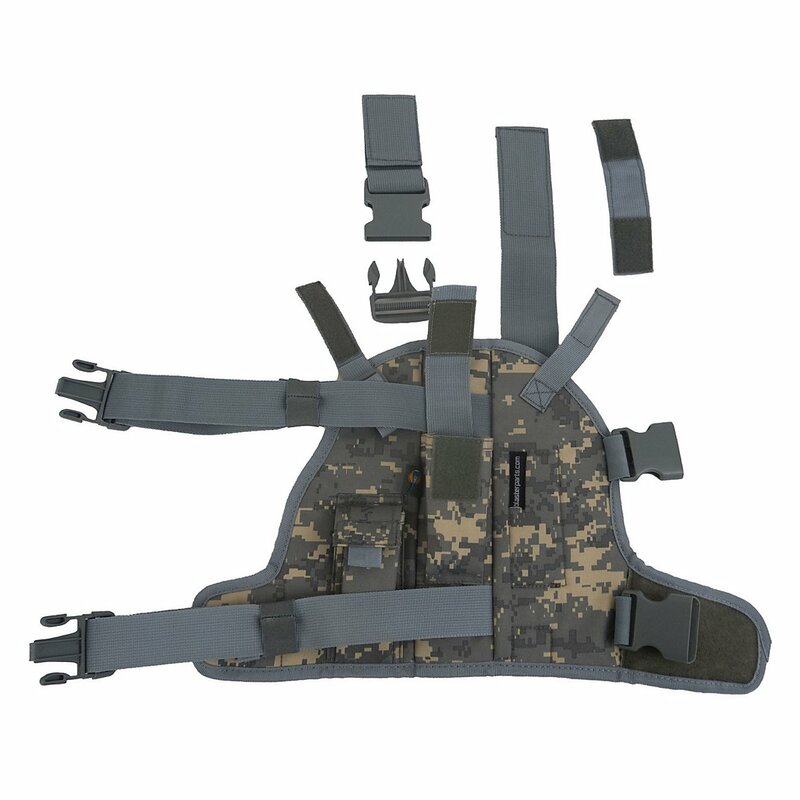 Thanks to a variety of Velcro fasteners and straps, the Blasterparts MX Multi Holster can be adjusted for a very wide range of darts. From the Nerf N-Strike Elite Disruptor to the Nerf N-Strike Elite Rough Cut, everything can be safely transported in the holster. 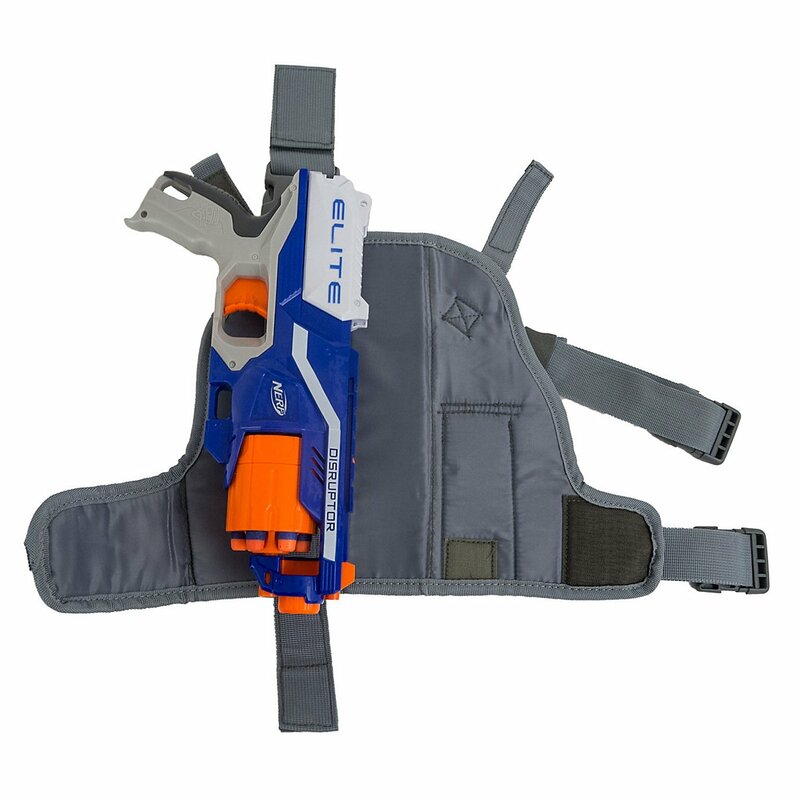 Through a recess on the side, even Blasters with magazine, such as Nerf Modulus Recon MKII, Nerf N-Strike Elite Retaliator and Stryfe find secure hold in the holster. Two closable small pockets on the holster provide space for a few darts, flashlight, or tools, without the holster becoming bulky. The MX Holster is too big for blaster that are smaller than a Nerf N-Strike Elite Disruptor or Strongarm, or Nerf Guns like Nerf Zombie Strike Hammershot. For these smaller blaster, Blasterparts have developed the SX Multi Holster. Good, secure hold even in the wildest Nerf War. The Holster is attached to the belt with an adjustable strap. This can be separated from the rest of the holster with a quick-release fastener. The holster can be easily removed without loosening the strap. Two adjustable leg straps ensure that the blaster is firmly attached to the leg and does not disturb during the race. The straps are also equipped with a quick fastener. 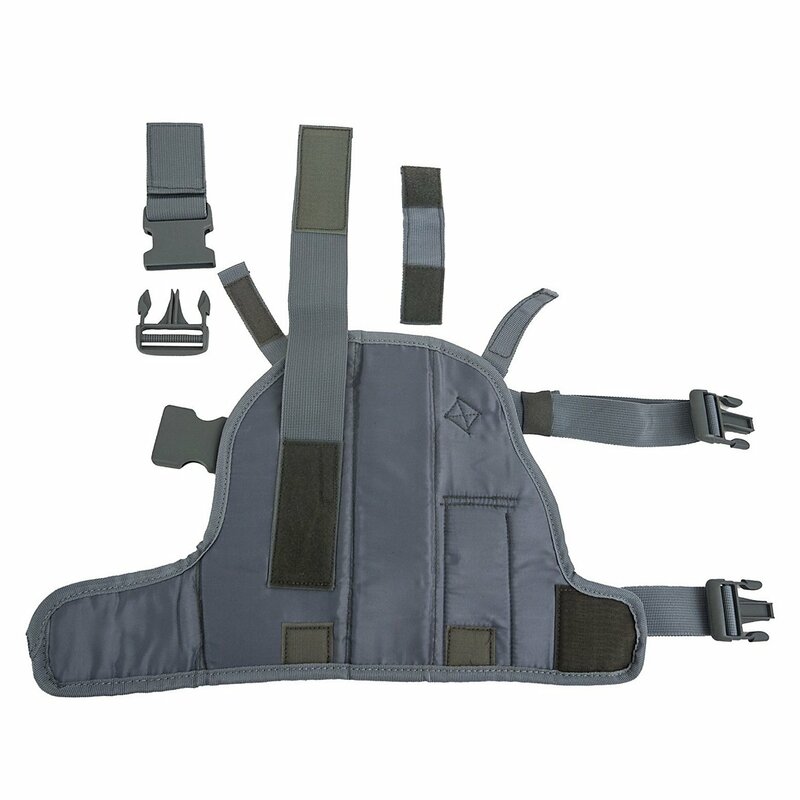 A strap with Velcro at the top ensures that the blaster does not tip out of the holster. Correctly adjusted, the strap can be pushed with the thumb over the blaster to ensure a fast, one-handed pull. Of course you can also simply open the Velcro fastener. Certainly, this is also possible with one hand. Who doesn't just want efficiency in the Nerf Battle, but also good looks, can be reassured. 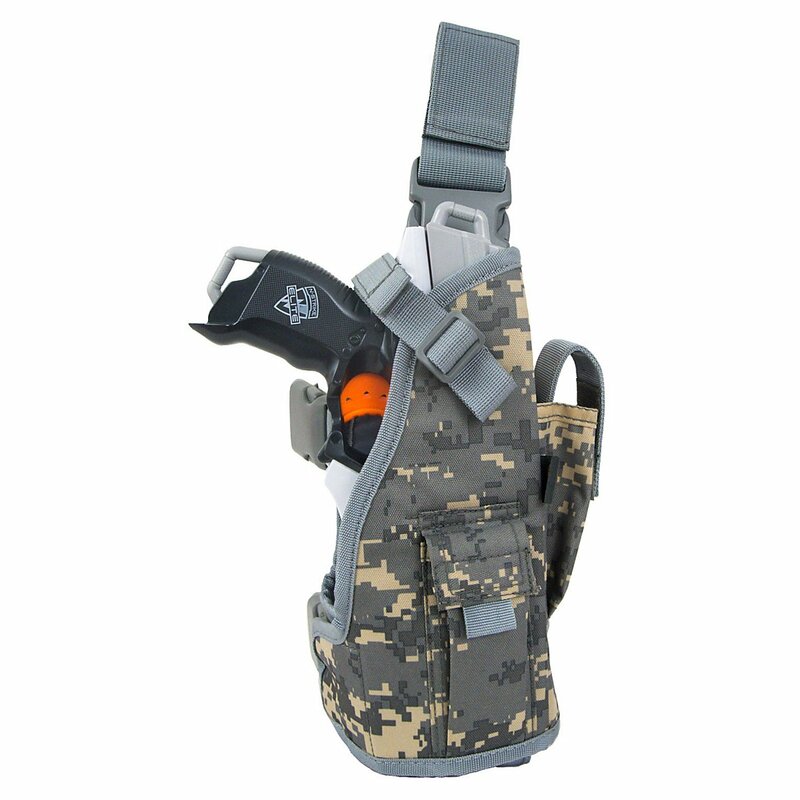 The Blasterparts MX Multi Holster is available in three colors: Black, Coyote and Digi Cam Grey. There's something for everyone. Never seen this toy before. Great for the kids to run around the house. Matching for different nerf models.